Show off your street style with this ankle bootie that feels like a sneaker. The Born Scone helps you take on your day with a distressed suede upper and side zipper. The uniquely cut topline adds a little style to any look and inside, the Scone has a removable footbed that offers cushion and support all day long. A leather and fabric lining wicks away moisture and Born's Opanka construction makes the Scone super lightweight and flexible. You also get a lightweight step from the EVON outsole. 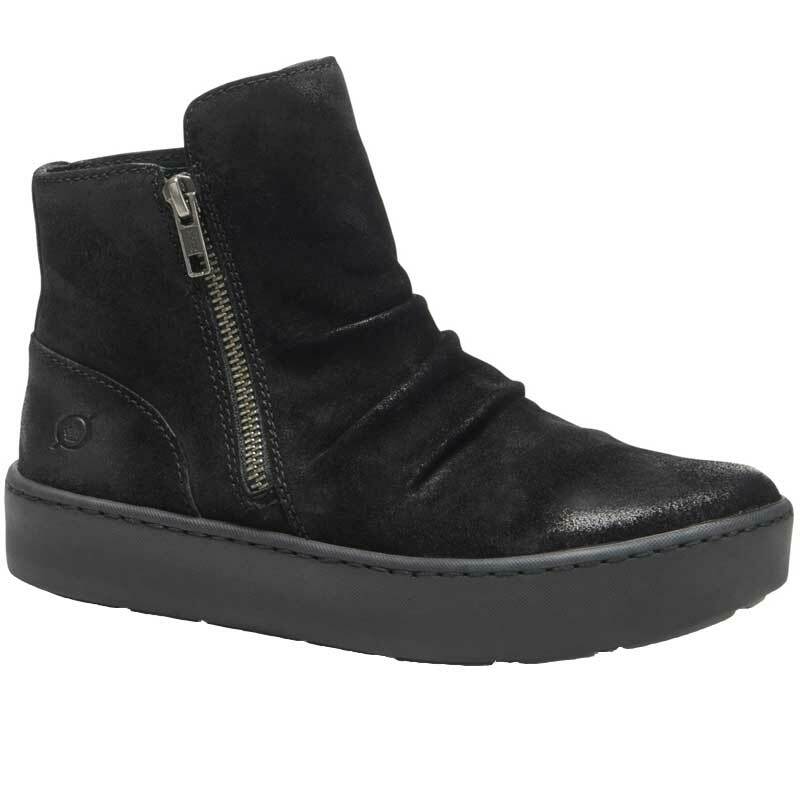 This sporty bootie with a platform brings all the seasons trends together.